It's November now and we're closing in on the end of the year. As we look past the year and forward toward the future, we reflect and observe. Most of the days past were filled with things we could have done or what we could have done differently. 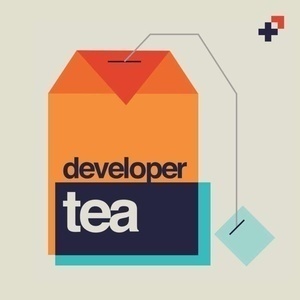 On today's episode of Developer Tea, we're talking about habits. DigitalOcean is the easiest cloud platform to run and scale your applications. From effortless administration tools to robust compute, storage, and networking services, DigitalOcean provides an all-in-one cloud platform to help developers and their teams save time while running and scaling their applications. Build your next app on DigitalOcean. Get started today with a free $100 credit at do.co/tea. It only takes a few minutes to get up and running. If you're enjoying the show and want to support the content head over to iTunes and leave a review! It helps other developers discover the show and keep us focused on what matters to you.